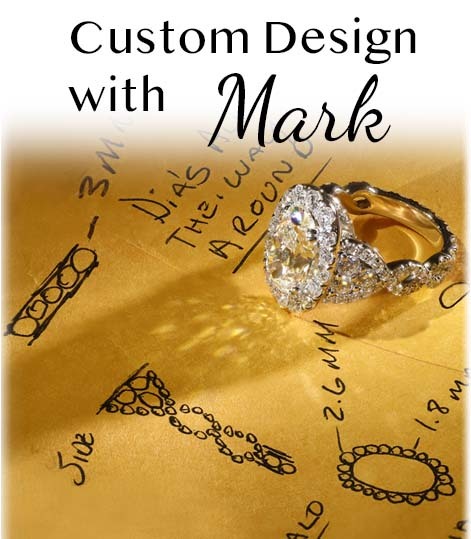 At Mark’s Diamonds, we provide a 30 day Return policy to ensure you can be sure your amazing acquistion is perfect for you. If, for any reason at all, you are dissatisfied with your purchase from Mark’s Diamonds, simply Return the item within thirty (30) days for an upgrade, Exchange, or even for a full refund. We pride ourselves in ensuring that our diamonds, watches, and jewelry are accurately described and meet the highest standards of quality. Mark’s Diamonds is extremely proud to provide FREE shipping on Returned items.. We will email you the no-cost FedEx Return Shipping Label (RSL), to ensure that Returning your purchased item is as easy as possible. 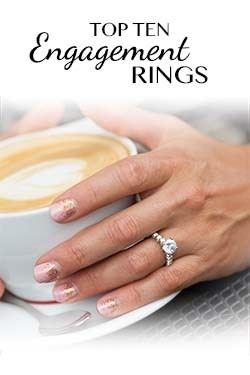 Within 60 days of the shipping date to our clients based in the United States, Canada, the United Kingdom, and Australia customers, we provide one (1) free resizing for our standard (non-custom) rings with free shipping of the item back to us and then free shipping when the item is Returned to you after it has been re-sized. 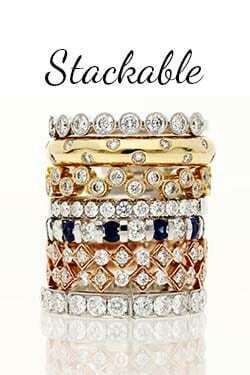 One should take note that our eternity rings cannot be resized due to the way they are designed. 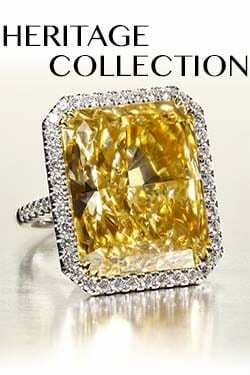 Bespoke (custom), modified, and engraved rings are subject to industry standard resizing fees. Mark’s Diamonds provides one (1) free resizing for the vintage rings we offer (within the sizing tolerance listed online) for each ring. To ensure maintaining the structural integrity, particular vintage rings and rings in our Mark’s Diamonds Exceptional Collection sales are “final” immediately upon resizing. Vintage or Exceptional Collection rings sales that are “final” if resized are clearly marked upon the selection of a ring size. When a client chooses the option to resize his or her ring at the moment of purchase, all subsequent resizings will be assessed resizing fees. For purchases shipped outside the United States, Canada, the United Kingdom, and Australia we do not provide free ring resizing or free Returns. For additional information including questions, comments, or concerns, please contact us at your soonest convenience to speak to one of our expert client relation specialists at +1 720.323.9909. Please take note that Returned merchandise must be in its original, unworn condition and also accompanied by all original documentation, boxes,stickers, and labels. Due to the personalization involved, the following types of purchases are not Returnable: items that have been customized, resized, and/or engraved; merchandise that has previously been Exchanged; and custom jewelry items designed specifically for you. If an item is Returned for a refund or is canceled during the production process, your next purchase will qualify for an Exchange. Modifications to orders currently being processed will void the free resizing, the Return policy and Exchange policies. If a client has a special request for a later delivery date, our thirty (30) day Return/Exchange period begins on the date that the order was initially available to be shipped. Also, if a client chooses to pick up his or her merchanise from our showroom, our thirty (30) day Return/Exchange period begins on the first day that the merchandise is available to be picked up. Preparing your merchandise for Return: For all Returns and Exchanges, it is very important that you include all original packaging and accompanying materials, including the packing slip and all diamond certificates (a $250 replacement fee per certificate will be charged otherwise). For resizings, please do not include original certificates and accompanying materials. **NOTE – For security puposes, it is imperative that you do not use the words jewelry, diamonds or other words related to watches or jewelry anywhere on the outside of the package. Shipping and Insurance: All orders are insured via Parcel Pro (the highest industry standard for insurance in the luxury watch and jewelry industry). To ensure the validity of the insurance while using the FedEx prepaid label, a client is required to “double box” his or her shipment and adhere to the following instructions. Carefully place the merchandise inside its original product box. For convenience, we recommend that our clients save and then re-use the packaging and packing material from the original purchase. Carefully place the product box (containing the product being returned) inside the medium box and include bubble wrap or packing peanuts . Place the medium box inside the larger box. If you do not have the original packaging, please include the product box inside a small FedEx Priority box and seal it. Place the internal security label on the small FedEx box and then place the small FedEx Priority box inside a medium FedEx Priority box. Place the Shipping Label on the outside of the larger box and drop it off at your nearest FedEx location. Be sure to get a receipt when you drop the package off at FedEx to ensure you have proof of shipment. Mark’s Diamonds and FedEx are not responsible for packages dropped off in FedEx Drop Boxes or Non-FedEx staffed locations. After Mark’s Diamonds receives the Returned item, our Quality Assurance (QA) team will inspect and verify the condition of the item while being videotaped and will take photographs of the item. Returns take approximately seven (7) to ten (10) business days to process upon receipt of the item. 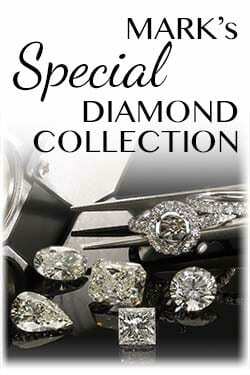 Mark’s Diamonds will refund the original purchase amount of the item using the same method of payment originally used when the transaction was conducted (except for wire transfers which will be refunded via check) International bank wire purchases will be refunded in United States Dollars according to the Exchange Rate at time of purchase. For credit/debit card refunds, please allow one monthly billing cycle in order for the credit to appear on your statement. Packages without a Return Shipping Authorization (RSA) number or packages that were refused delivery will not be accepted for Refund and are subject to a minimum restocking charge of $50. Return Shipping Authorizations (RSAs) are active for seven (7) days from the date they were issued, and packages must be shipped during the active time period of the granting of the client’s Return Shipping Authorization. If your Return Shipping Authorization has expired, please contact us at +1 720.323.9909 to request another Return Shipping Authorization (RSA). All requests for refunds must be in writing via email or fax. Any Returns showing signs of wear or those that have been engraved, altered, resized, or damaged in any way will not be accepted for Return. Improperly packaged or uninsured items will not be accepted. If you have any questions about our Return Policy and Procedures, please contact us at +1 720.323.9909.